To be useful as stencils, stencil letters usually have cuts in letter forms to hold the interior spaces in place. Is there are name for these cuts? That part is called the bridge. It connects areas that are cut out or sometimes called an island. The bridges are a thin piece of material that wouldn't be cut out. Not the answer you're looking for? 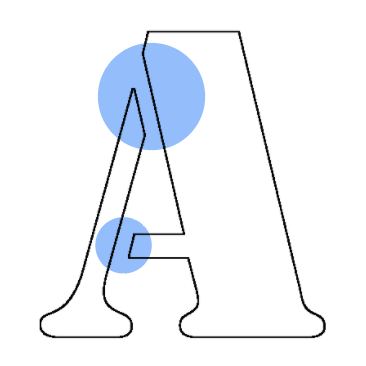 Browse other questions tagged typography terminology lettering or ask your own question. What's the centered fluffy art piece called in an article? What are some classic decorative typography techniques?